How to set the selected color in SfColorPicker? In SfColorPicker, you can load it with a specified selected color by using SelectedColor property. 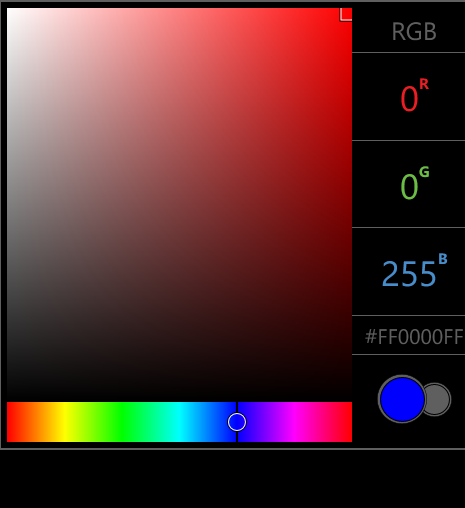 The following screenshot displays Blue as selected color of SfColorPicker.